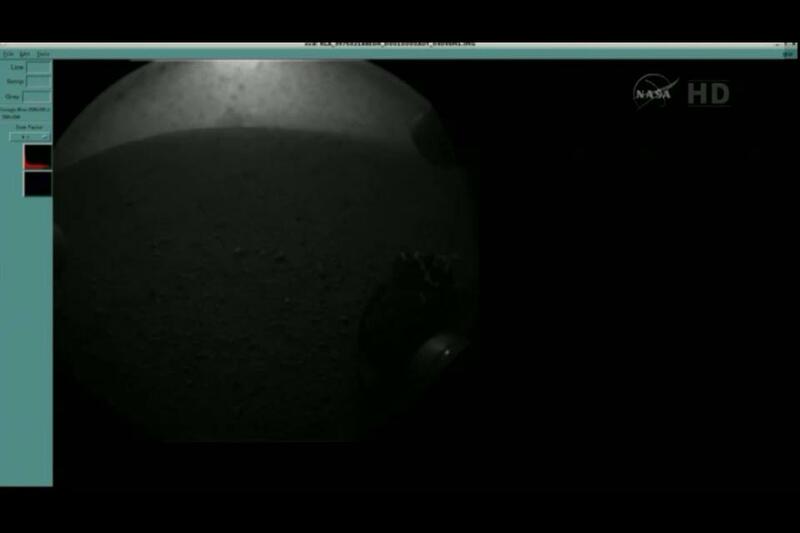 Wheels down on Mars. Image courtesy Curiosity’s rear hazcam. You should be impressed. It’s two o’clock in the morning and I’m writing a blog post. Without my glasses. Proof of landing above, more images and explanations to follow tomorrow.